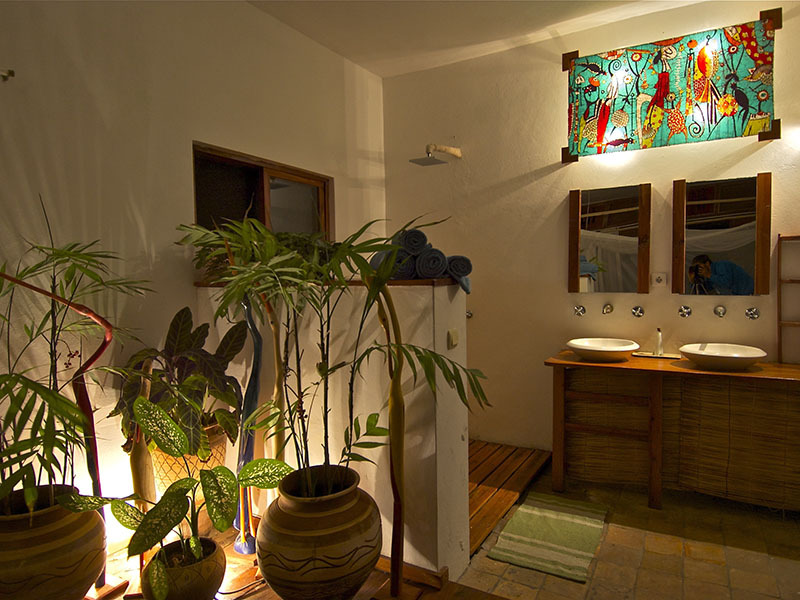 Situated in Tofo Mozambique lies the Baia Sonambula (“Sleeping Beach”) relish in the comfort and tranquillity of this spacious guesthouse. Bungalow rooms express lavish relaxation with smooth stone floors cool underfoot, crisp white linen and, large bay windows show casing endless sea views. 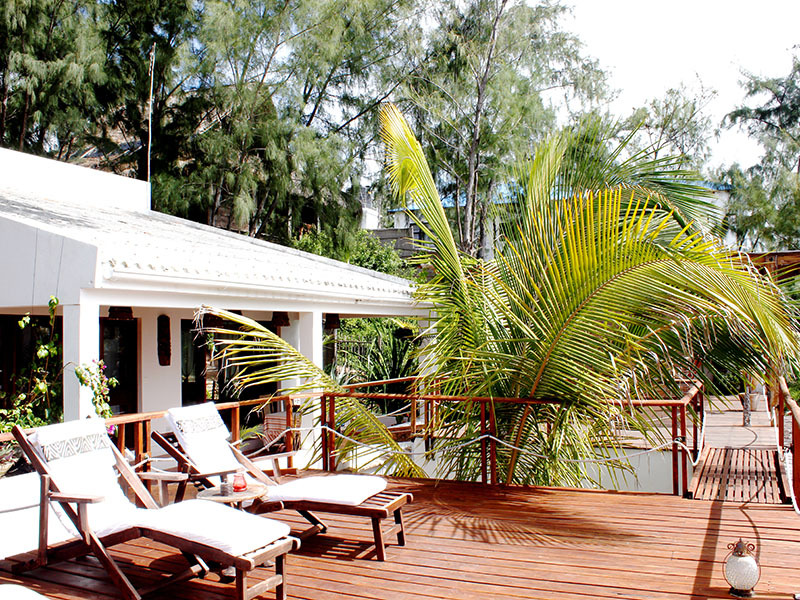 Stay at the ultimate beach haven from the ocean sunrise each morning to the colourful star-studded skyline each night. A central kitchen where baked goods delight the taste buds with lush gardens, Dive centres, bars and restaurants all in walking distance! 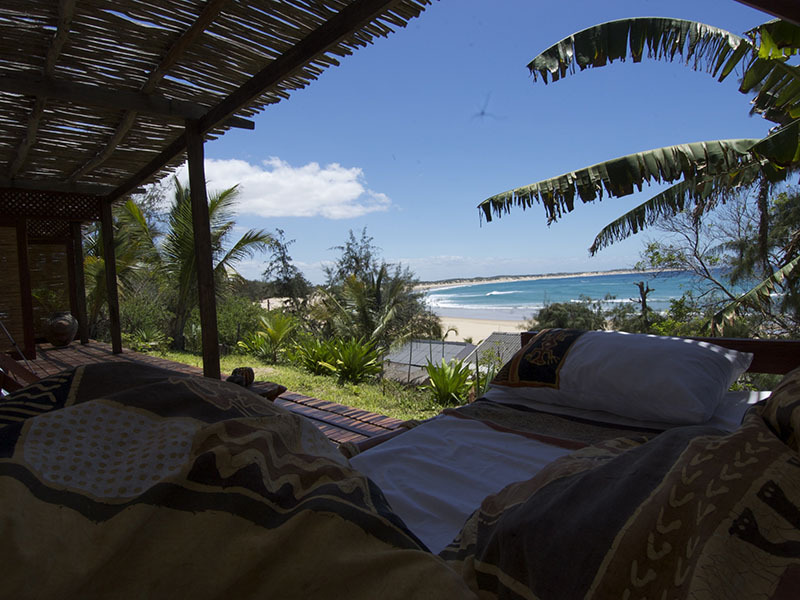 Baia Sonambula (meaning “sleeping beach”) is aptly named for its location on Tofo Beach in Mozambique. 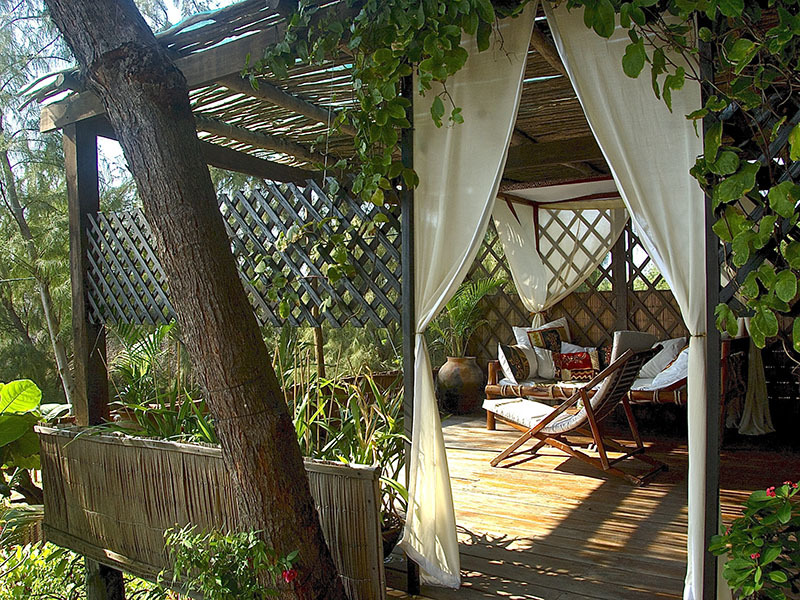 Spend your beach holiday here embraced by white-washed stone walls, thatched roofs and bougainvillaea gardens. 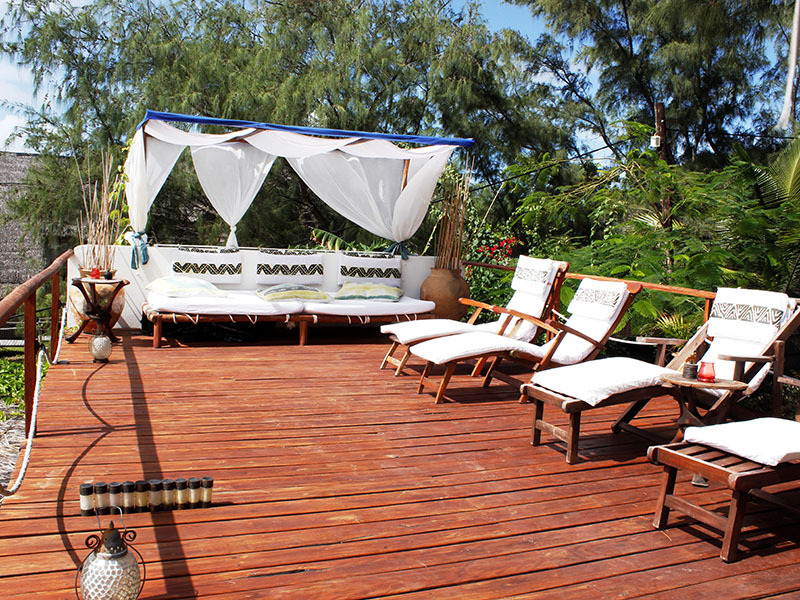 Yes, this Mozambique guest house is an understated stylish beach hideaway in an authentically rustic beach village. 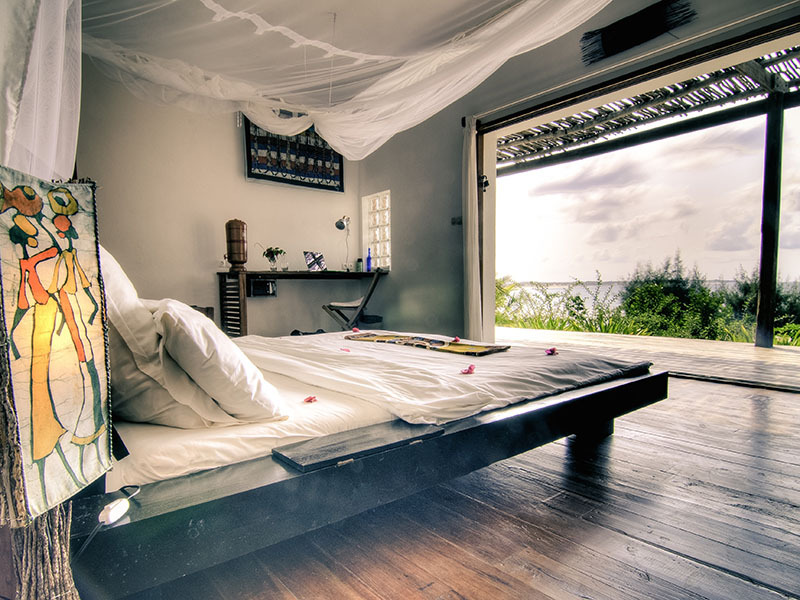 With unobstructed views of the Indian ocean beyond, gorgeous rooms offer guests complete privacy and relaxation. 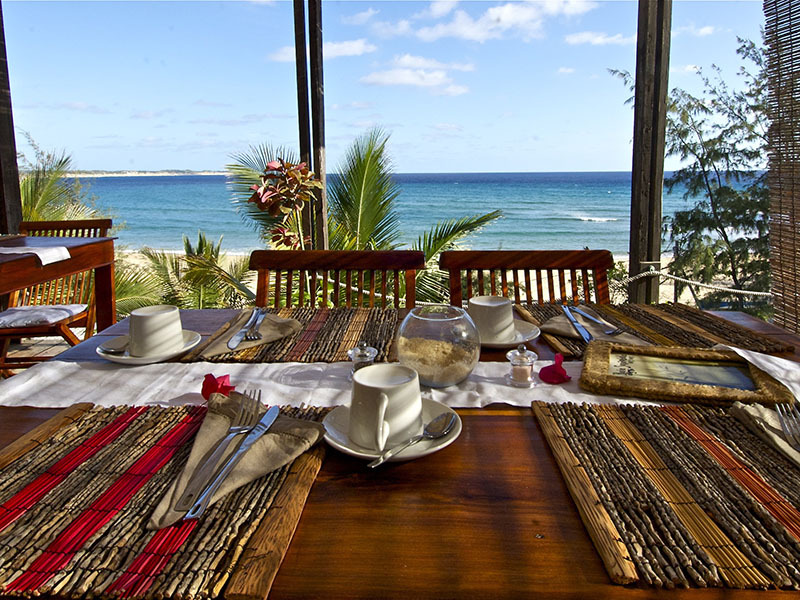 The main guest house also has large sea-facing balconies where breakfast is often served – indulge in homemade jams, yoghurts, muffins and pastries plus quality coffee. 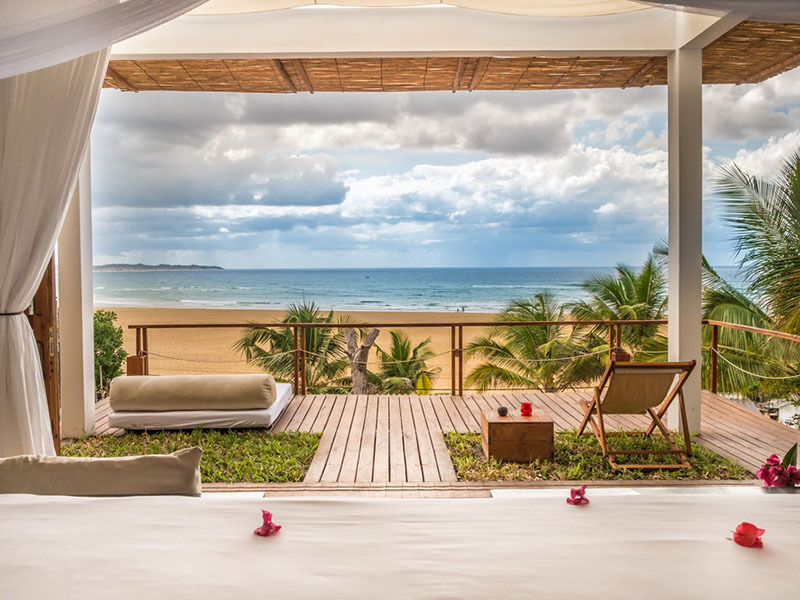 This stunning Mozambique-style accommodation is literally 30 metres from the beach and about 150 metres from the central markets and dive centres. Stroll to the variety of restaurants or pumping nightlife. 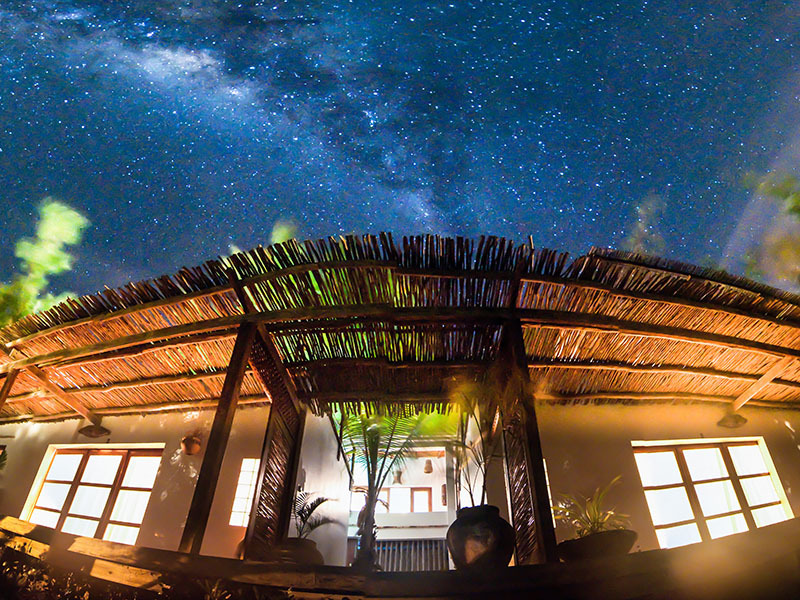 Tofo is home to Manta Rays and Whale Sharks and Barra Beach is only 10 minutes away. 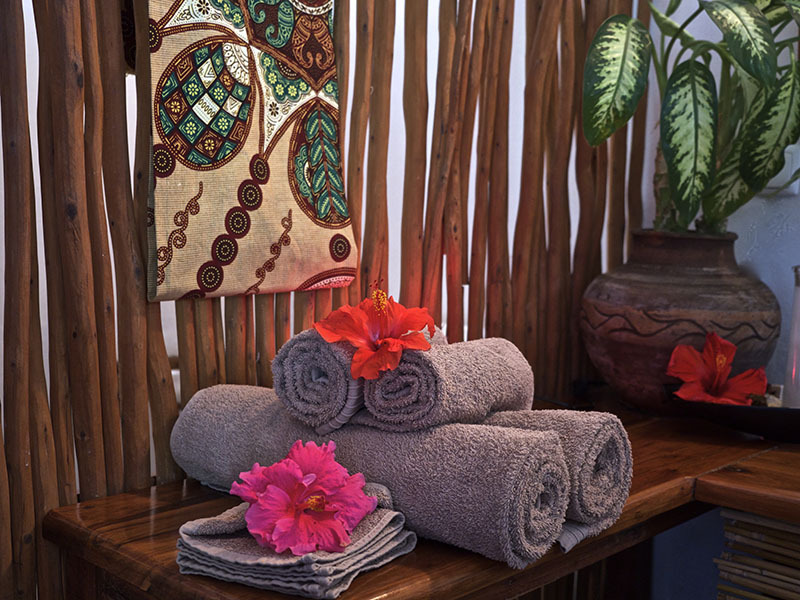 Choose from 5 intimate and unique rooms, promising true relaxation, privacy and comfort. Feel right at home and completely rested after nights spent sleeping on thick Egyptian cotton sheets. 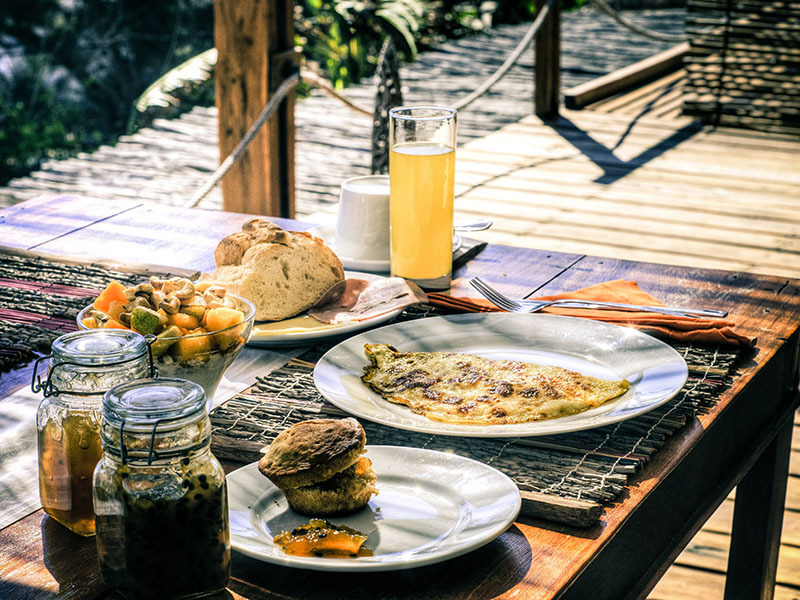 Dine on your private patio – freshly baked homemade pastries and muffins, fruits and thick yoghurts – breakfasts made in heaven. 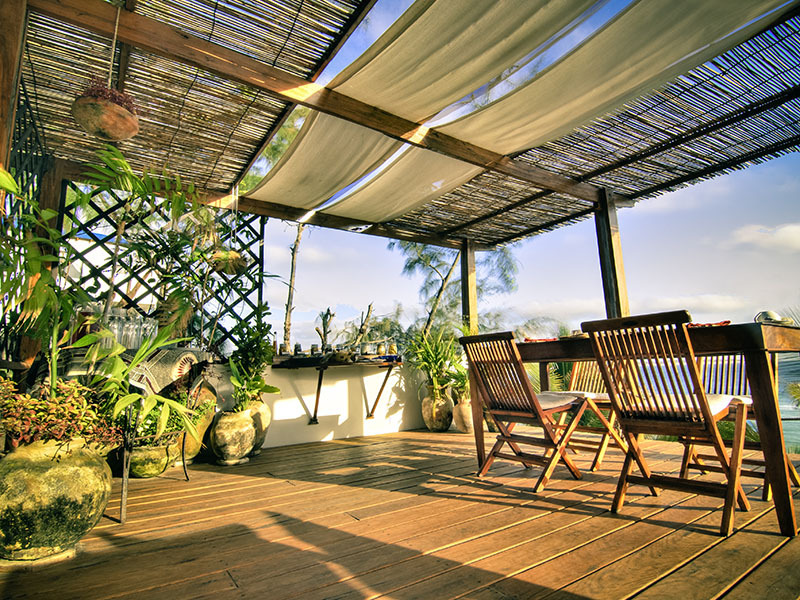 Relax in a day bed or sway in a hammock with a fresh mint and ginger iced tea or perhaps a gin and tonic! Drive to Tofo from Inhambane with tar roads all the way there.